We're really excited to announce that our Android app is now available for download in the Google Play Store! 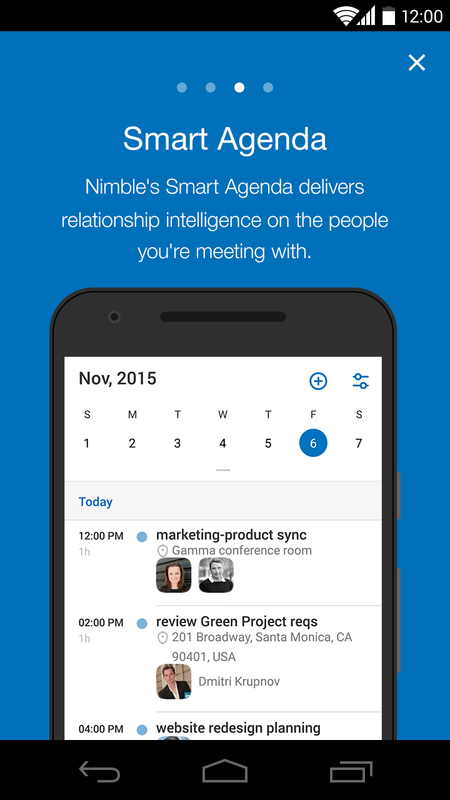 Our Android app combines your phone’s contacts and calendars with our rich Nimble people and company insights. 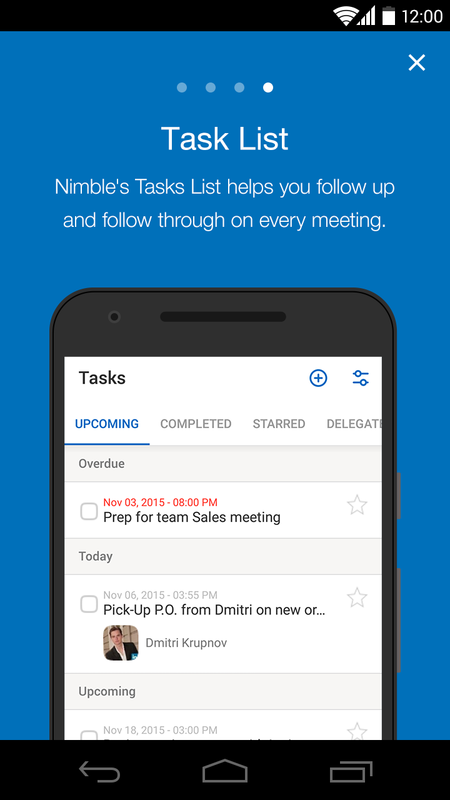 Centered around your daily agenda - See all of your upcoming events in a clean list view. Quickly Create Events from the app home page. See All Your Phone calendars - At the current moment, events are read-only. 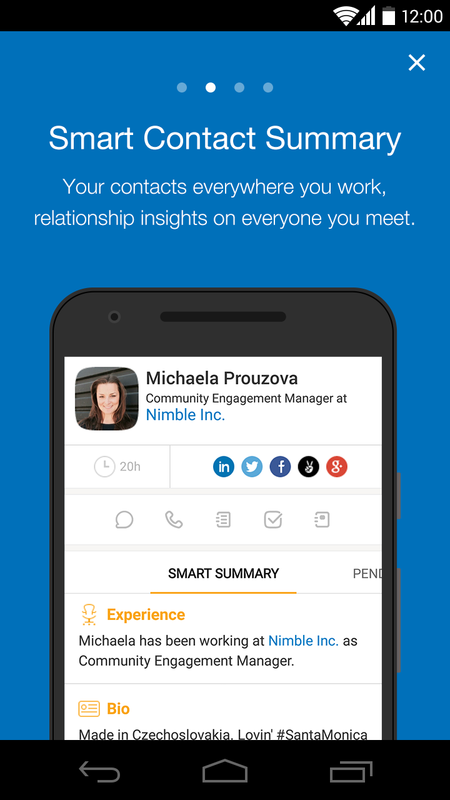 Live Profile on Contacts - Nimble now displays the “Live Profile” of a contact record built for you from matched social profiles. Periodic Sync = We sync your mobile contacts to Nimble whenever you launch the app from your phone.